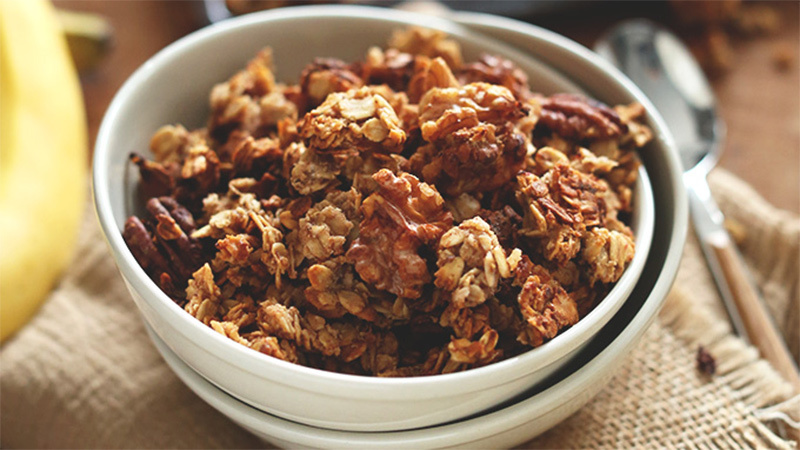 A great source of fibre, protein, vitamins and minerals, granola makes for a delicious breakfast or a quick and easy, grab-and-go snack. 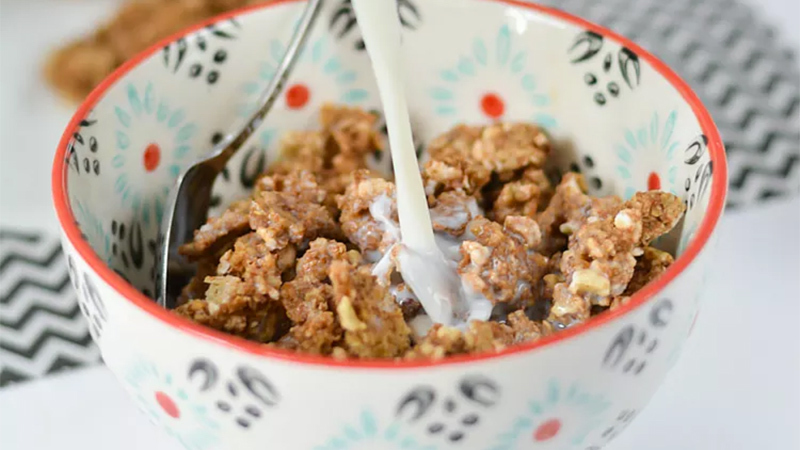 By choosing 100 per cent pure whole-rolled oats and other natural ingredients — and staying away from instant or quick-cooking oats that contain fillers — you’ll be able to enjoy a healthier granola, without sacrificing your clean-eating lifestyle. The best part? 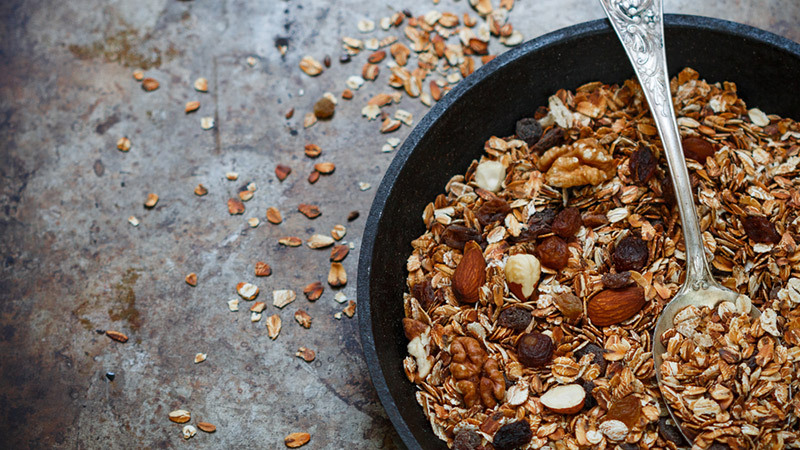 You can customize your granola with any ingredients you like. Oats, nuts, seeds, dried fruit, maple syrup, unsweetened almond milk, and natural Greek yogurt are just a few ways you can jazz up your bowl or bar. Just remember to try and choose natural, high-quality ingredients wherever possible. Blogger Elizabeth Rider has a great mind for cooking. I like her wellness approach — combining tips, recipes and inspiration. Even if you’re not savvy in the kitchen, Rider shows you how easy it is to create wholesome, healthy, simple dishes. Try Rider’s basic granola recipe here. Recipe whiz Christy is the creative mind at Feasting not Fasting. Her recipe for basic granola can be tweaked with all your favourite ingredients. She uses honey (or agave), coconut oil, vanilla, cinnamon, almonds, oats, honey, and salt to create a yummy granola that can be stored in air-tight containers for easy access. For variety, Christy adds chocolate chips and chopped dried fruit. Peanut butter-and-chocolate lovers will adore this decadent, delicious recipe. With only seven ingredients, this granola is super easy and will quickly become a go-to favourite. Amber at ambertheblack.com offers an easy homemade granola recipe, “without a recipe.” According to Amber, “If you get in the habit of testing and tasting and thinking, you can make healthy food, from what’s in your pantry, and give your creative self a playground as you do it. Dare I say, it can be fun.” This loosy-goosey recipe gives you the creative freedom to add whatever you have on hand. This is a low-fat, sugar-free, gluten-free, nut-free, dairy-free, egg-free granola is a dream for those with intolerances or allergies. The recipe calls for leftover (cooked) oatmeal vs. dry oats to create a yummy meal that can be served with almond milk. While it uses stevia as a sweetener, you could substitute with honey or maple syrup, if desired. 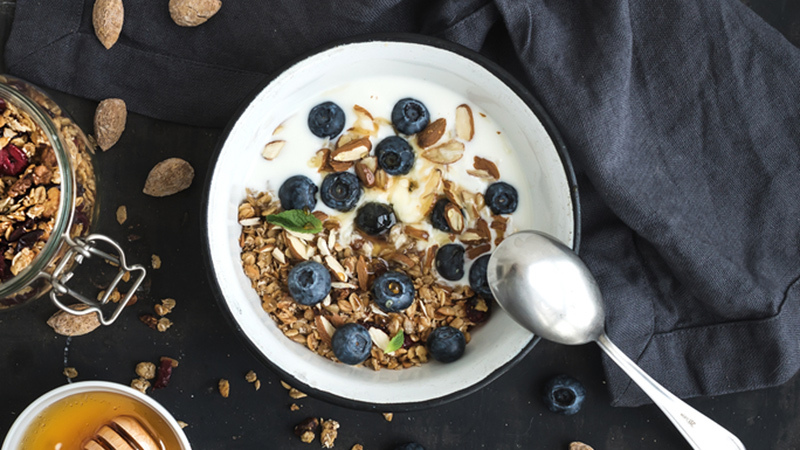 Hemp hearts, rice cereal, flax meal, brown rice, old fashioned oats, cinnamon, vanilla, and blueberries come together in this delicious, homemade granola. Maple syrup adds a touch of natural sweetness. Find the recipe here. This granola takes about 30 minutes to prepare and bake. Oats, cinnamon, and butter blend to create a low-cal version of an all-time favourite. 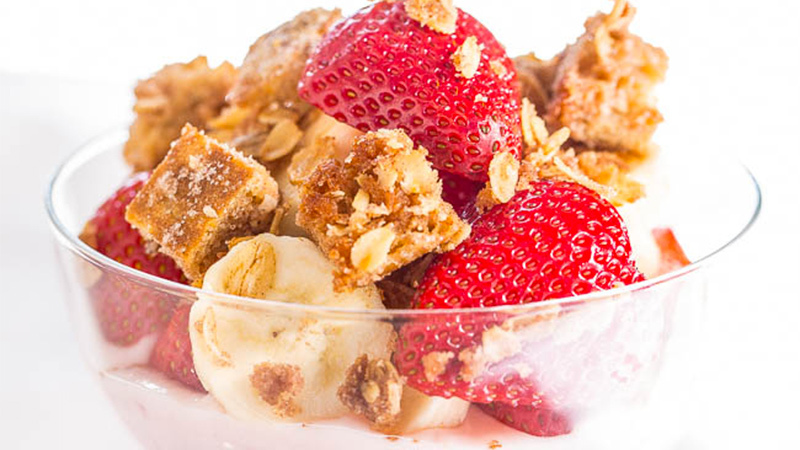 Add yogurt, fruit, and granola into a parfait glass for a beautiful presentation. Check out Averie Sunshine for the recipe. Are you trying to get more potassium in your diet? 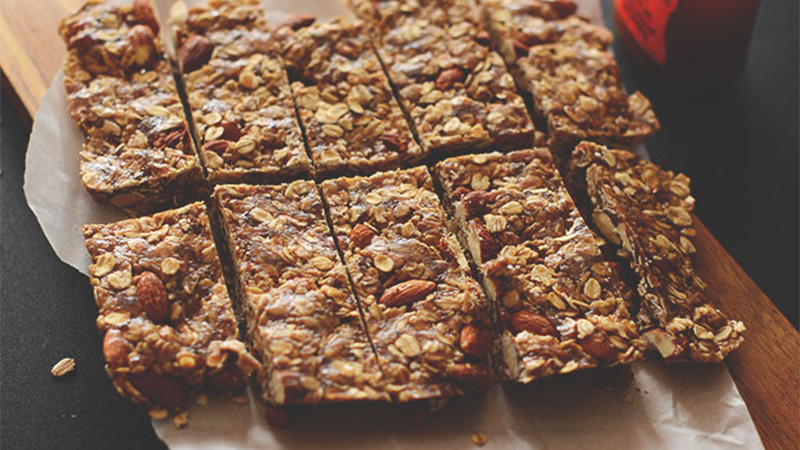 Try these yummy Banana Bread Granola Bars from Dana at the Minimalist Baker. There’s nothing like the aroma of banana bread wafting through the house. Dana makes it quick and easy with step-by-step instructions. The recipe is vegan and gluten-free. Another fan favourite, this recipe is from ambitiouskitchen.com. One of these bars, along with a hot cup of chia, makes a healthy breakfast. 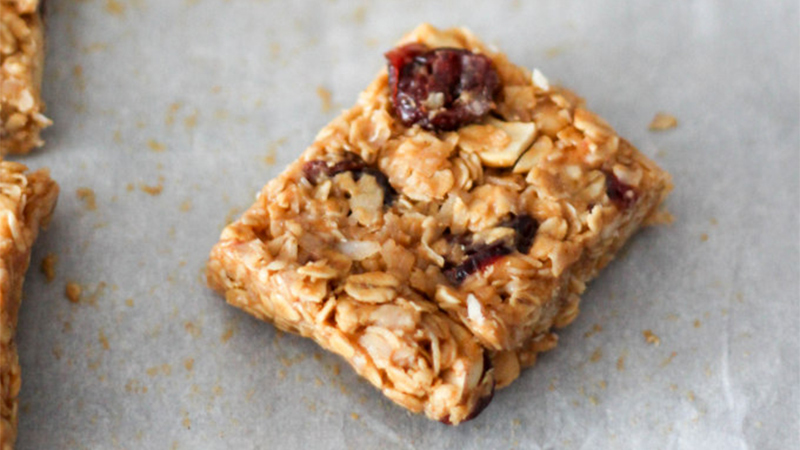 Creamy almond butter, coconut flakes, cashews, and oats make these bars full of chewy goodness. Cranberries and honey make them sweet. One bar is 216 calories. That’s a healthy start without a ton of calories. 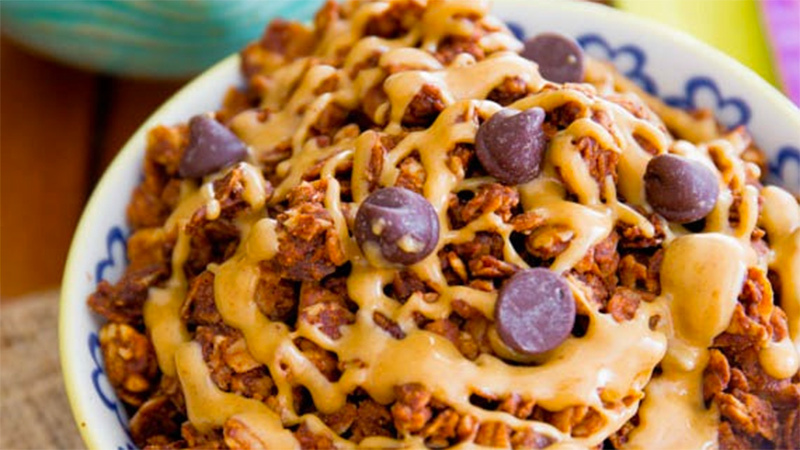 Holy granola! 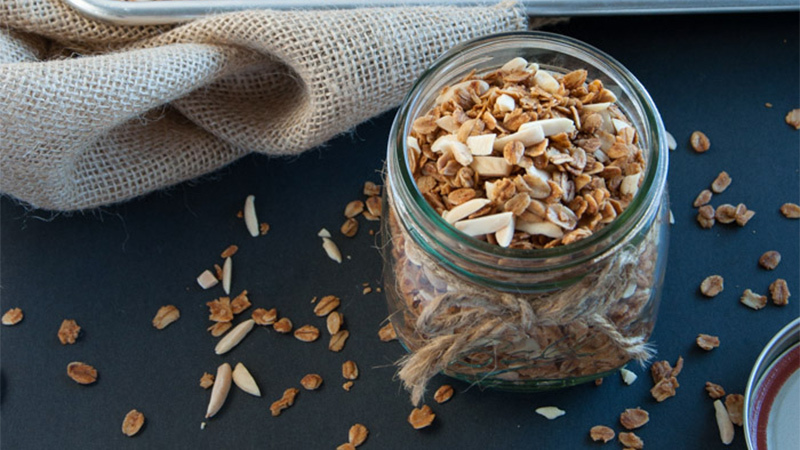 Quick and easy, granola is one of those versatile foods that allow you to get creative with ingredient substitutions. If you don’t like dates, use dried apricots instead. Not a fan of almonds? Substitute in cashews or any other nut. 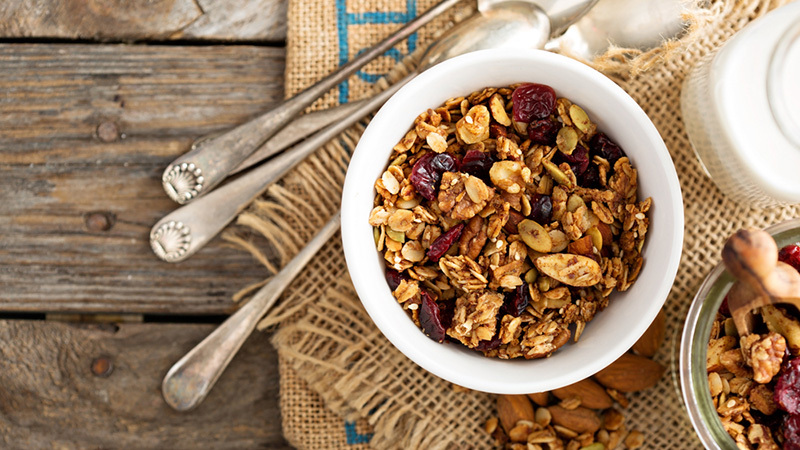 Granola can be calorie-dense, so if you are watching your weight, be careful about your portions. Whether you enjoy granola in a bowl smothered with almond milk, or as a chewy bar to dunk in your coffee, choose the healthier version. Make it homemade, so that you know what’s in every bite.